The first time Brian Bickford set foot on the rolling, tree-lined fairways at Val Halla GC in Cumberland, Maine, he was nine years old and didn’t know a bunker from a beach. He shot 81 – for nine holes – but the golf bug had bitten. Bickford became an avid player, and his fondness for the game grew thanks to the caddying he did for some of Val Halla’s pioneer members. Bickford would go on to become not just one of Val Halla’s more accomplished players, but eventually its guiding light. Today, a Class A PGA Professional as well as the Recreation Director for all of the town’s recreational complexes, he oversees everything at the course, which has become one of Maine’s busiest – and best. The Maine State Golf Association and Maine Golf Foundation moved into quarters at Val Halla last year. This year, the First Tee of Maine will join them. For Bickford, it’s been rewarding to see all the positive developments at what’s been his home club since he was old enough to swing one. But he’s determined to keep aiming for the next level – something that the club’s members and visitors should be thankful for. 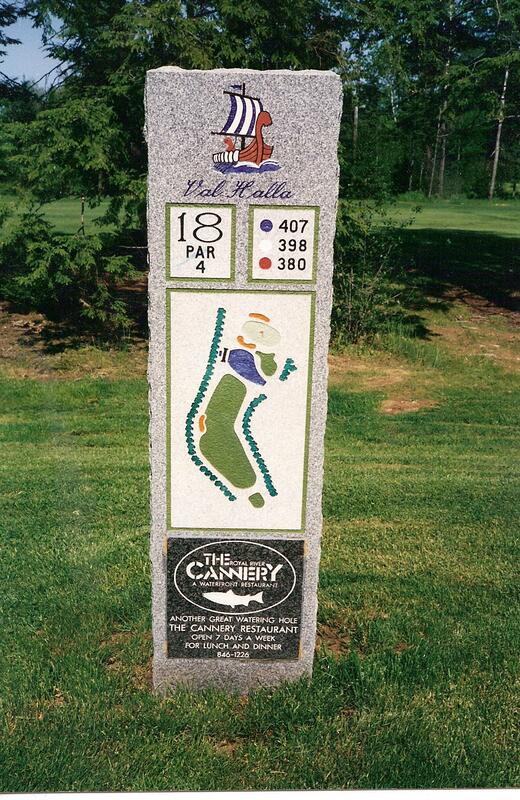 Fifteen years ago, Val Halla was a lot like those currently troubled courses that Bickford alludes to – only it wasn’t shiny, it was pretty scruffy around the edges. Bunkers had become rock-strewn. Fairways were either muddy or weedy or baked dry. The greens suffered from snow mold and other ailments. And while there had always been a coterie of dedicated die-hards in the membership, all of them yearned to see their beloved course in better shape. That wish is slowly but surely coming true. With the support of Cumberland’s Town Manager, Bill Shane, and the rest of the town council, a systematic upgrade of the course and facilities at Val Halla began. Double-row irrigation was put in. Drainage projects sprang up. Several new tees were built and fairways reseeded. Bunkers got new sand. Cart paths appeared. In what seemed like a short period of time, Val Halla went from being a loveable disappointment condition-wise to a championship-caliber track that might host the Maine Open some day. Last season, the greens were as good as any in the state. An improved course is only one aspect of what has made Val Halla successful since Bickford took over six years ago. Having worked as a bean-counter in the hospital administration world, Bickford knew well the importance of identifying goals and creating programs to achieve them. Today, he’s applying his management and marketing skills to growing Val Halla’s business and broadening participation in the game. To give women more ways to enjoy playing and more opportunities to utilize the facilities at Val Halla, he created a “Wine & Nine” program that brings players out for a little early-evening instruction, followed by nine holes, followed by a little friendly socializing. He had hoped to get a dozen players to sign up when he began the program. He got 73. This year, “Wine & Nine” has three different levels of players coming out on three different weeknights, with over 240 women participating. In combination with the Wednesday-night women’s league, it means a lot of gals are teeing it up at Val Halla. In fact, three of the club’s top-10 players in terms of total rounds played in 2010 were women, something that Bickford is understandably proud of. 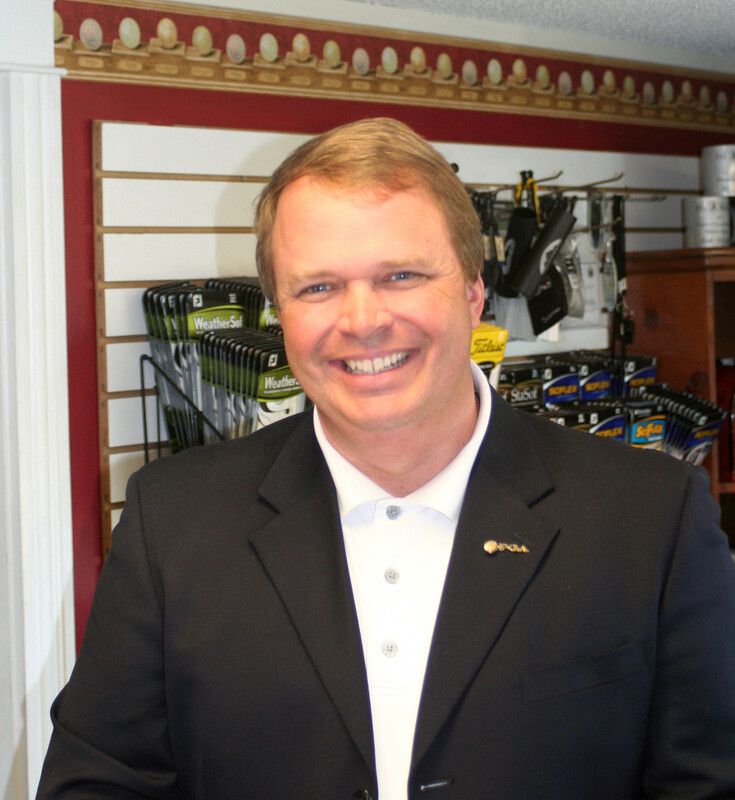 The Maine State Golf Association’s Executive Director, Nancy Storey, spent many of her formative years at Val Halla, too, and shares Bickford’s love for the place. To have the Maine Golf House at Val Halla now seems like a natural to her. Maine’s Golf House didn’t happen overnight. But now that it’s found a home at Val Halla, it’s full speed ahead. With hundreds of kids in its junior program – getting instruction, learning about etiquette, and just having fun playing golf all summer long – Val Halla is indeed a place with a youthful feel to it. 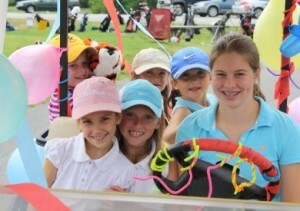 Bickford’s daughter, Meghan, added her own USGA- and LPGA Foundation-certified “girls only” golf camp to the junior lineup in 2010, and it will be up and running again this year. Designed to be instructive but also fun, it features fun theme weeks like “Crazy Sock Week” and “Pink Week.” This year, “Munchie Mondays” will be added to the lineup with unique food themes, as will a trip over water to the classic nine-hole course on Chebeague Island. A trademark of Meghan’s Golf Camp participants is the Daphne’s animal headcover that each of them sports on her driver. It’s all about fun – and that’s why it’s helping to grow golf amongst a new group of young players. Then there’s the junior golf room – the only one in the state as far as Bickford knows. The idea for it came about when local resident and golfer Morris Fisher retired from CB Richard Ellis/The Boulos Company, a commercial real estate firm, and founder Joe Boulos made a sizable donation to the club’s junior program in Fisher’s name. The junior room, which is located on the club’s lower level, offer the club’s young set a place to get together after events and just be kids (under adult supervision, of course). There’s a flat-screen TV, a Wii for playing indoor golf, and even an outdoor area beneath the club’s second-floor deck. Bickford also uses part of the club’s downstairs area to show kids how to regrip and reshaft clubs. It’s all part of the program. According to Storey, having The First Tee at Val Halla is a great fit. With all this talk about juniors and women, you might think that Val Halla has only set its sights on serving special-interest groups. Not so. While Bickford and the town agree that the facility has to serve people of all ages and genders, traditional male players feel very much at home at the club. The Val Halla men’s association fields strong events almost every weekend, and in addition, the club’s Thursday-night Coke Scrambles are hugely popular, both with members and with players from other clubs who are looking to cash in either week-to-week or during the season-long challenge that was added to the Scramble last year. 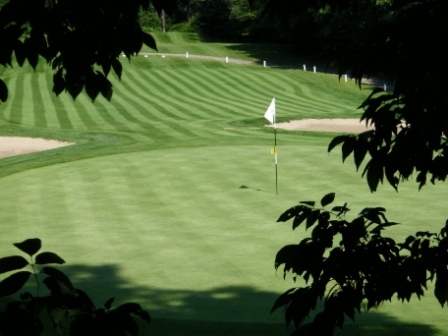 The club boasts a large number of single-digit handicappers, and last year Val Halla teams finished first and second in the Maine State Club Team Championship. It’s the kind of course that breeds good golfers. Many of the fairways are tree-lined, particularly on the opening nine, which encourages control from the tee. And while the greens are not wildly undulating by any means, when they’re rolling fast they have subtle breaks that have been known to confound more than a few players. The course’s 9th hole, a sharp dogleg-right that plays over water on your second shot, is one of the area’s most challenging par 4s. 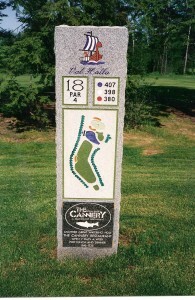 It used to be the course’s finishing hole, which meant that it ruined many a good round; now, it’s just another tough hole you have to negotiate on your way to the turn. The back nine presents some challenges, too. The long par-5 12th hole can be a bear, while the dogleg-right 16th and long par-3 17th have been known to scorch their share of rounds, too. It’s not surprising that Val Halla players have games that seem to travel well. What’s up for Val Halla in 2011? More course enhancements are in the works, as the club considers some strategic tree removal and other future upgrades. New electric carts will replace the old gas ones, too – something that’s sure to add to the peaceful ambience at the club. And the Viking Grill will be under new management, with Mike Smith (formerly of The Cumberland Café and Toddy Brook) leading the effort to feed and water all the players and visitors. Expect changes to the menu there, with breakfast service a possibility. It’s all in support of the game and the people who play and love it. In the context of what Bickford has accomplished in his tenure at Val Halla, truer words have never been spoken. I am one of the ‘wine & nine’ women who has been bitten by the golf bug! ‘wine & nine’ classes, I met golf buddy(s) that will be life-long friends! And… the memories – priceless! I thank Brian every day for his innovative thinking. Because of him, I’ve undertaken a lifestyle change that is so very exciting and rewarding for me!